Keep your current work schedule. Add marketable skills and a great credential to your resume that can lead to instant new career opportunities. Earn your certification in as little as 6 months to a year. Be prepared to take exams that further certify your project management experience and knowledge, and much more. PMI is the world’s largest project management member association, with more than 600,000 members in over 185 countries. With an online graduate certification in project management, you’ll be ready to become PMI certified. The organization’s research has found that “every year, the skills shortage will open an estimated 1.57 million jobs across the globe for workers new to project management.” Also, keep in mind that the median salary for a Project Management Manager is estimated at $130,000 in 2018, with a common range of $116,000-$146,000, according to Salary.com. UVA is a public research university and the flagship of the state system. It was established in 1819 by founding father Thomas Jefferson. Overly 24,000 students attend the school, which somehow pulls off a 15:1 student-to-faculty ratio. UVA offers 121 majors (48 bachelor’s degrees, 94 master’s degrees, 55 doctoral degrees, 6 educational specialist degrees, and two professional degrees) through eight undergraduate and three graduate schools. In 2017 USNR ranked UVA 24th overall and 2nd among public universities. It also ranked UVA’s Darden School of Business 11th overall and 2nd among public universities. Students also will choose one elective from Procurement Policy & Practices, Topics in Project Management, and Introduction to Purchasing for Project Managers. Students will leave this certificate with a grounding framework of the tools and methods project managers employ every day to efficiently accomplish organizational goals. Arkansas is a public, doctoral research university, and the flagship school of the University of Arkansas System. U of A offers over 200 undergraduate, graduate and professional programs. It has been classified by the Carnegie Foundation as a top level research university. Arkansas was founded in 1871, and is headquartered in Fayetteville, Arkansas. Currently UARK serves over 27,500 students, and offers an 18:1 student-to-faculty ratio. It’s known for its superb programs in architecture, agriculture, business, management, communication disorders, creative writing, history, law, human resources and Middle Eastern studies. In 2017, Arkansas was ranked 133rd on USNR’s National Universities ranking. They also ranked its Sam M. Walton College of Business at 34th among top public business school in the nation, and 59th amongst all public and private schools. This certificate demonstrates you’ve gained the “tools and skills needed to effectively manage projects and understanding of the global project management language.” Its coursework is in line with the Project Management Body of Knowledge, preparing students to take an exam and become certified as a Project Management Professional. Purdue is a public, research university in West Lafayette, Indiana. It’s the flagship school of the Purdue University system, which serves over 75,000 students and is one of the largest university systems in the country. Purdue was founded in 1869. Its main campus serves over 42,600 students, and has a 13:1 student-to-faculty ratio. It has excellent programs in computer science, engineering, agriculture, management and business administration, among many other disciplines. Its flagship campus in West Lafayette offers 200 majors for undergraduates, more than 69 masters and doctoral programs, and professional degrees in pharmacy and veterinary medicine. In 2017, U.S. News & World Report ranked Purdue University tied for the 20th-best public university in the country, tied at 60th overall in America, and 90th best globally. The next three start dates for this program are 9/5/18, 10/17/18, and 12/5/18. This certificate prepares students for mid-level positions in project management. You’ll gain significant experience in scheduling, risk, quality, assessment, and much more. Successful students within the program will be eligible to take the Project Management Professional (PMP) certification exam. Northeastern University is a private research university, founded in 1898 in Boston. Its motto is “Lux, Veritas, Virtus” (Light, Truth, Courage). It serves nearly 21,500 students, and has a 14:1 student-to-faculty ratio. NU offers undergraduate and graduate programming across a widespread campus in the Fenway-Kenmore, Roxbury, South End, and Back Bay neighborhoods of Boston. It also offers graduate degrees at satellite campuses in Charlotte, North Carolina, Seattle, Washington and Silicon Valley, California. It’s been labeled a R1 institution for its doctoral research by the Carnegie Classification of Institutions of Higher Education. In USNR’s 2018 rankings, NU was tied for 40th among National Universities, and it has been ranked higher and higher by USNR between 1985 and 2017, rising from 176th to 39th. Northeastern is known for helping students get the funding they need to attend school. For example, it gave out $239 million in the 2015-16 year via grants and scholarship assistance. Northeastern is known for their emphasis on experiential learning, which might take different forms during this certificate. Make sure to look into how experiential learning at Northeastern can enhance your experience earning a Graduate Certificate in Project Management with them. Colorado State University is a public, land-granted University. It was founded in 1870 in Fort Collins, Colorado. 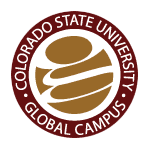 CSU is known for its high quality, accessible education, especially through their online Global Campus and Colorado State University Online. CSU Online offers the Fort Collins’ high-quality graduate and undergraduate degrees, certificates, courses, and digital badges online to over than 10,000 students annually. CSU’s overall programming is attended by about 40,000 students worldwide each year. The school still maintains a 16:1 student-to-faculty ratio. In 2018, CSU’s engineering graduate programs were ranked No. 29 nationally by U.S. News and World Report, and CSU’s business graduate programs were ranked No. 41. USNR also ranked CSU 19th on its list of Best Online Bachelor’s Programs for Veterans. This program can also become part of a Computer Information System’s Master’s degree from CSU. Lawrence Tech is a private university in Southfield, Michigan. It was founded in 1932. Over 3,000 students attend LTU, which has an 11:1 student-to-faculty ratio. It’s known for its undergraduate, masters, and doctoral programs in STEAM fields (science, technology, engineering, arts, and mathematics), and is divided into colleges of Architecture and Design, Arts and Sciences, Engineering, and Management. In total it offers more than 100 programs through these colleges. It consistently ranks in the Top Tier for “Universities–Master’s (Midwest)” by USNR. In 2018, it was 38th in the category “Midwest Regional Universities,” out of 165 schools. It’s also been named among best in the Midwest in 2017 and 2018 by Princeton Review, and was ranked fourth in Michigan for the average salary of graduates 10 years after graduation by The Wall Street Journal/Times High Education in 2016. Boston University is a private research university founded in 1839. It has become one of Boston’s largest schools and employers. Over 33,300 students currently attend BU, which maintains an improbably low 10:1 student-to-faculty ratio considering its size. BU offers undergraduate and graduate degrees through 17 schools and colleges. Graduates have gone on to become Nobel Laureates, Pulitzer Prize, Academy Awards, Emmy’s and Tony’s winners. In 2017, USNR ranked BU 39th among national universities and 32nd among global universities. BU’s programs have been individually cited for their excellence by USNR, and it has ranked 10th among public health graduate schools, 12th among social work schools, tied for 20th among law schools, tied for 29th among medical schools (research), 35th among engineering schools, tied for 41st among business schools, and 45th among education schools. In 2016 BU was ranked 89th overall in the world by QS World University. 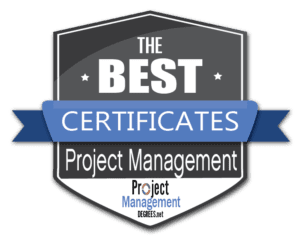 Graduates will be ready to continue in a number of project management related careers, and will be ready PMP® Certification from the Project Management Institute. Those who are PMI-certified can earn up to 45 PDUs per course. Penn State is a public, research university that has campuses throughout Pennsylvania, in addition to a large online wing (the Penn State World Campus). The school offers over 160 majors through all its campuses and schools. It was founded in 1855. Penn State is considered a “Public Ivy” because it offers comparable education to Ivy League schools without charging quite as much for it. Penn State World Campus was created in 1998, to offer its excellent education more easily to students outside of the Pennsylvania. Over 14,300 students attend the World Campus, complimented by an intimate 11:1 student-to-faculty ratio. The World Campus offers 120 online undergraduate and graduate degree and certificate programs in partnership with Penn State academic programming. Penn State has a long history of delivering distance education. PSWC is the product of experimentation by Professor Michael G Moore, who created and taught some of the world’s first online courses, educating students in Mexico, Europe and America. Upon graduation from the World Campus, students can attend the Penn State graduation ceremony, and will receive the exact same degree as on campus students. Some World Campus programs do require students to take proctored exams at predetermined locations, and others require live video chat participation. All of the courses in this program can be applied toward PSWC’s 30 credit Master of Project Management degree, if students apply to it and are accepted. The University of Denver, or DU, is a four-year, independent private school. It’s the oldest university in the Rocky Mountains, founded in 1864. DU offers programs and degrees in law, business, music, social work, education, and much, much more. DU has grown alongside the city of Denver, booming in the post-World War II migration to Colorado. It now serves over 11,400 students, and offers them the low, low student-to-faculty ratio of 11:1. The University of Denver was ranked 86th among all public and private national universities in the U.S. News & World Report 2015-2016 rankings. DU is also known for its University College, which is a school of professional and continuing studies that DU created in order to offer graduate certificates and master’s degrees in online formats. Students may also customize their University College degree with their “Degree Builder.” Another option is to take this certification in 9 or 12 months, depending on the amount of time you can commit to it. 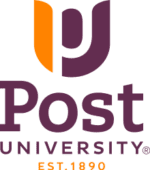 Post offers an online Graduate Certificate in Project Management. It can be finished in a year, and requires 12 credits. You’ll learn how to become indispensable to an organizations’ operations through creating, monitoring and executing complex projects. Students will build scheduling, leadership, and financial skills, among many others. Students have a personal academic advisor in this program that’s ready to offer guidance throughout the certification. Graduates will be ready to use the project management techniques they’ve learned to immediately solve problems and accomplish organization goals for multiple industries.